LaTavia Roberson has been quiet as of lately especially ever since her pregnancy turned tragic & she lost her unborn baby over the summer. She has began the process of stepping back into the spotlight & it all began with a very in-depth interview with the publication People Magazine. 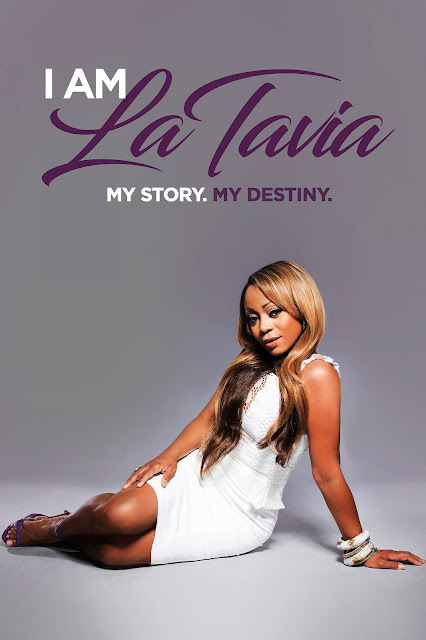 The interview was supposed to focus on the re-birth of LaTavia, but once the story was published she quickly found out that the popular magazine had a different idea in mind. People published the one-on-one interview on December 28th with the title "LaTavia Roberson Says 'It Wasn't Pretty' When She Was Dropped from Destiny's Child: "It Led Me Into a Depression'". While the interview was supposed to mainly focus on who she is in present day they chose to highlight the decade old drama surrounding the break-up of Destiny's Child. 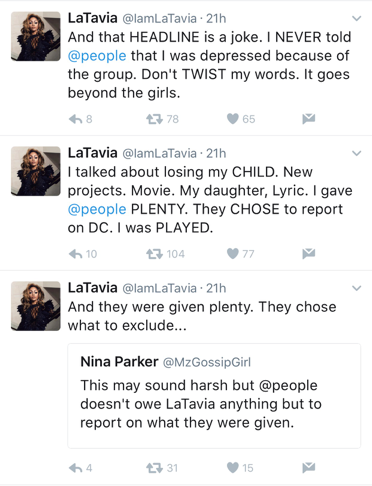 Yes, they in fact spoke about the topic, but according to the singer the publication voluntarily decided to exclude other topics that she spoke about mainly her upcoming memoir, I Am LaTavia: My Story. My Destiny. She took to Twitter to put on display how much she was disgusted with People for twisting her words & how the media continues to portray her as bitter to the public. Take a look at People Magazine's feature on LaTavia Roberson HERE, & check out the stunning cover of her new memoir below.